A modified whip and a recent addition to all top riders’ jumping arsenal is the scrub. Following on from the trademark trick of motocross legend James ‘Bubba’ Stewart, the scrub is all about being able to hit jumps flat out without catching much air by absorbing the kick. Get these nailed and you’ll be able to hit any lip full throttle without losing any speed. 1. Approach the lip as fast as you feel comfortable. 2. Set yourself up in the middle of the bike ready for take-off. 3. Lean the bike slightly to one side as you are heading up the crest. This will take a lot of commitment. 4. When your front wheel is at the top of the crest, turn the handlebars down to the same side your bike was slightly leaned to and flatten the bike underneath you. The lean in the air should be an extension of the turn you started on the ground. 5. 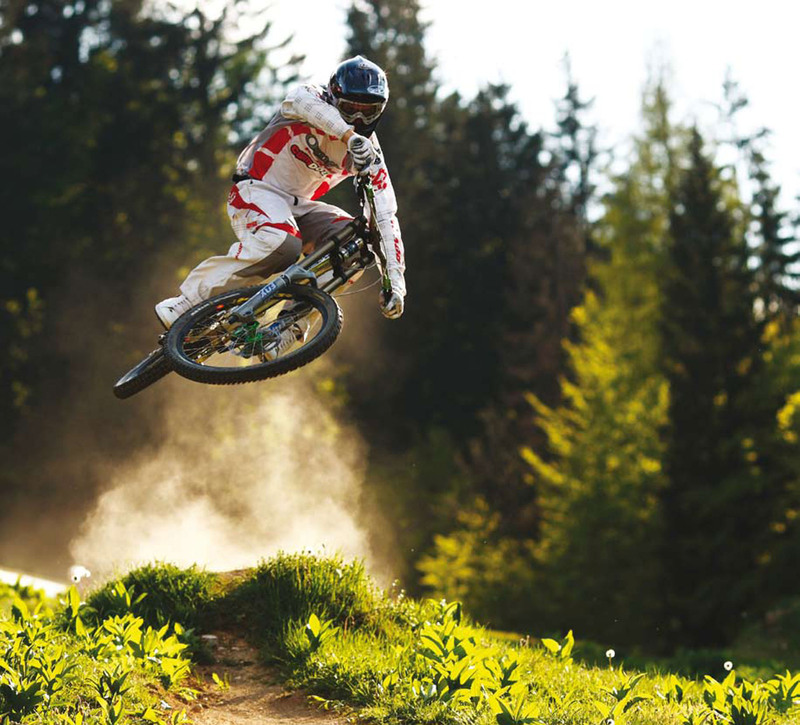 Straighten the bike up for landing using your arms and legs and stay focused on the next section of the track. This entry was posted on Monday, December 5th, 2011 at 11:30 am and is filed under Bike . You can follow any responses to this entry through the RSS 2.0 feed. Both comments and pings are currently closed.